Months after the Uber and Careem controversy in Pakistan, the excise department in Punjab has decided to grant the semi-commercial status to cars that will be used by the drivers of the ride-hailing companies. Earlier this year, the ground shifted for many drivers and riders of Uber and Careem when the news of Punjab government banning the service spread like wildfire. 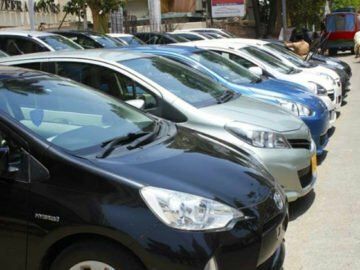 According to a notification leaked at the end of January 2017, the government called these services illegal as the cars were not registered with any regulatory authority and no fitness certificates/ route permits were obtained from the government. The same issue was later that day highlighted by the Sindh government who threatened the companies with legal repercussions. Punjab government, later on, made its stance clear that it not banning Uber and Careem but Shehbaz Sharif gave clear directives to bring the services under the Tax net. Now after almost a year, the Excise and Taxation department has decided that the Uber and Careem drivers will register their cars as semi-commercial vehicles. The authority will send the summary for approval to the CM Punjab, Shehbaz Sharif in the coming week. Previously, the Islamabad Transport Authority (ITA) also put forward the recommendation to regulate the fares of Uber and Careem.